Our homes are often filled with a deluge of food, snacks, candies, and cookies. 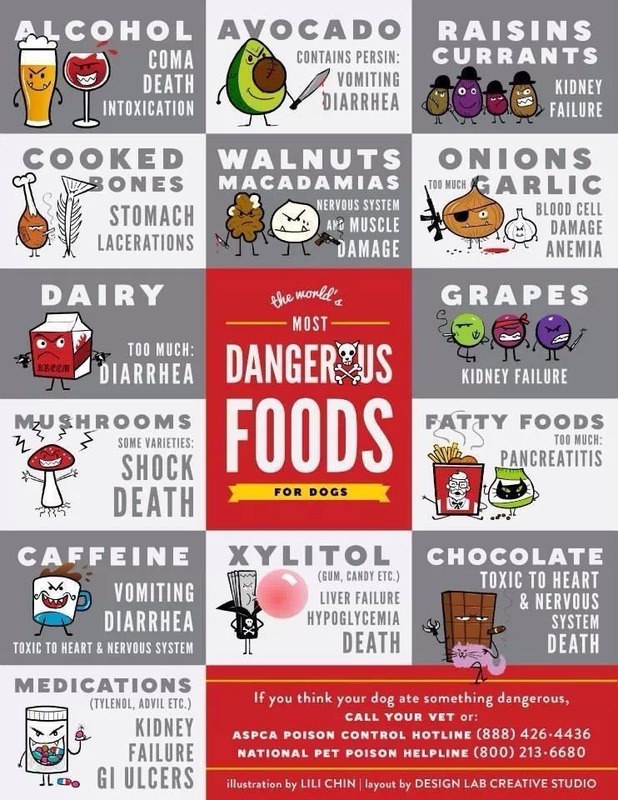 But remember, this means our fur babies are also around all of this tasty food...and a number of human foods can be detrimental to their health. Many dogs experience stomach upset after eating avocados, so avoiding foods that contain this veggie can help prevent problems for your dog. Chewing gum can cause blockages in the digestive tract. Sugar-free chewing gums can contain Xylitol, a sweetener that’s toxic to dogs. Bacon isn’t going to kill your dog. 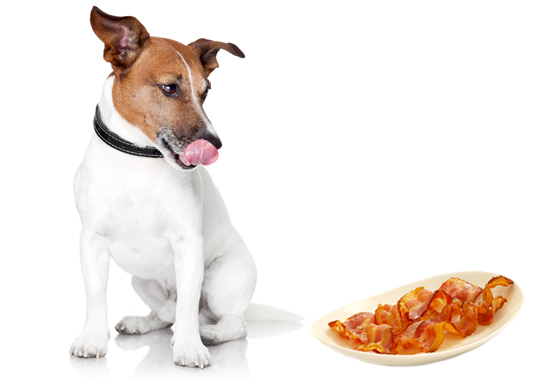 However, fat-rich foods like bacon can lead to pancreatitis in dogs. It can cause problems with the absorption of nutrients and other digestive issues. 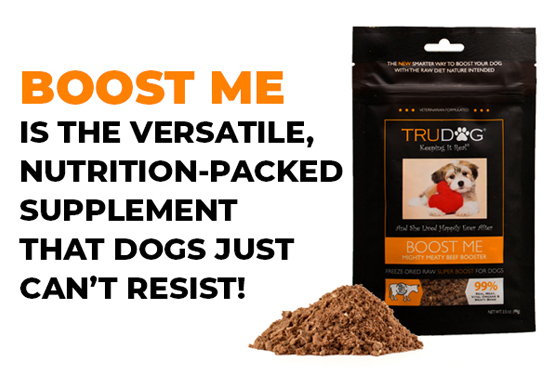 You’re much better off with a freeze dried dog food that’s specially selected for your pet. While it’s not certain what component of these nuts is toxic to dogs, eating macadamia nuts can cause vomiting, tremors and even an inability to walk. Due to the caffeine content in coffee, it should be avoided in your dog’s diet. Caffeine for dogs can cause several health problems, including death. 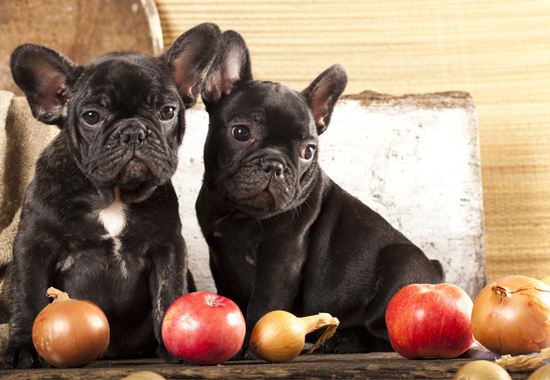 Onions contain certain compounds that can be harmful to dogs if ingested in significant quantities. These compounds can damage your dog’s red blood cells, making her weaker and lethargic. 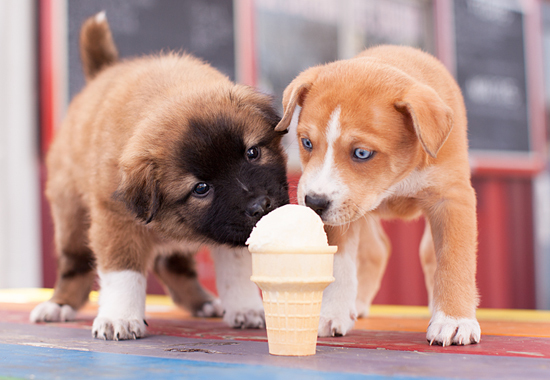 Xylitol is extremely toxic to dogs. Even small amounts can cause seizures, low blood sugar and even death. These popular sweetener is hidden in surprising foods, like certain types of peanut butter. A number of fruit pits contain a compound known as cyanogenic glycosides. We often call this simply “cyanide.” This toxin can cause dizziness, shortness of breath, hyperventilation, collapsing, seizures and even a coma. 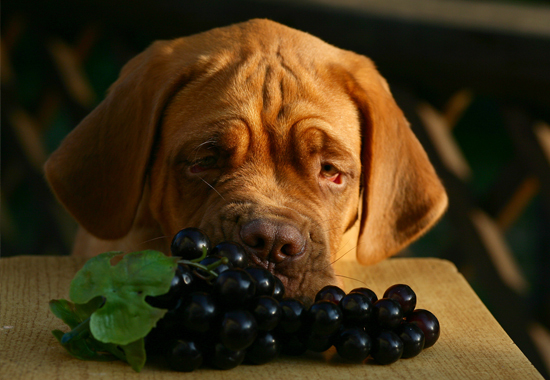 Grapes, as well as raisins, can cause dogs to have rapid kidney failure. This can even happen without symptoms. This can lead to death in just three or four days. Rhubarb stalks and leaves both contain oxalate crystals, causing your dog’s calcium to deplete. This can lead to vomiting, diarrhea, weakness, tremors and bloody urine. Leaves contain higher levels of oxalate crystals and are particularly dangerous. Garlic is a member of the onion family, but is much stronger and more toxic to dogs. In severe cases, ingesting too much garlic might require your dog to have a blood transfusion. Milk and other dairy products contain milk sugar. Dog bodies don’t produce the enzymes to break this down. While it isn’t likely to be life-threatening, it can cause gastrointestinal problems such as vomiting and diarrhea. Like various fruit pits, apple cores contain cyanogenic glycosides (cyanide) and should never be given to your dog. Caffeine stimulates a dog’s nervous system, just like it does with humans. This can lead to vomiting, heart palpitations and can even be fatal. 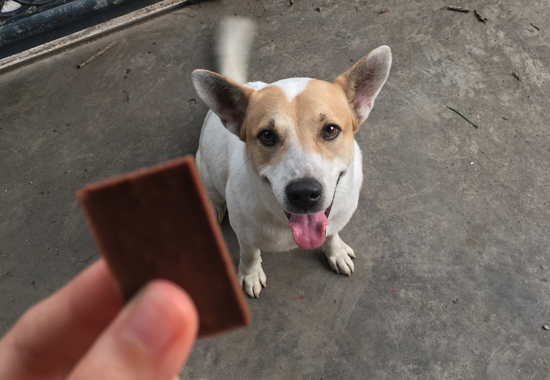 Most of us will have guests over for holiday get-togethers and as dog lovers, most of us melt when we see those sad little eyes looking up at us...just begging for a tiny taste. But we shouldn't trust our furry family member's health to table scraps, leftovers, or extra "treats" that can be unhealthy or even dangerous.